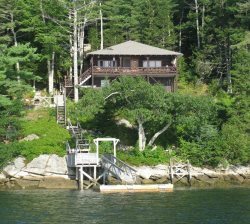 We've been dealing with Cottage Connection for about 20 years now and have always been happy with the personnel and the service they provide. The property was well suited for our needs and we were very pleased with the condition of the property. The girl at the front desk was very friendly and helpful. It was nice that there were improvements made to the cottage in the past year. Everybody was so friendly and efficient. All wants and needs were attended to quickly. Edge of the Sea was a great vacation "home". It has a view you see in vacation magazines. It is well equiped and well located along Shore Road. Our 2 weeks there went all too fast. We loved it! Be careful driving into the place as the driveway off of the road is very stiff and you need to go very slow to not bottom out on the driveway. Favorite feature of the property was the ability to enjoy those sunsets. Enjoyed fishing, resting and touring the area.